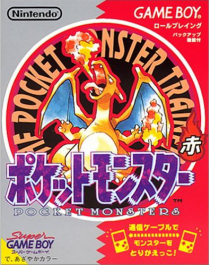 Let's take a look at the 151 pokemon who debuted in the first generation of Pocket Monsters games, Pocket Monsters Red & Green. #: The number of each pokemon as seen in the Pokemon Bestiary. Image: The official Ken Sugimori artwork for the pokemon. If multiple forms exist then the artwork for the most commonly seen form is used to represent the pokemon. Japanese name: The Japanese name, written in both the English alphabet as well as the Japanese original. A small number of the names below differ from what the official romanizations for a variety of reasons; in those cases, the official romanization is also provided in parenthesis for comparison's sake. Name Origin: A breakdown of the pokemon's name. Since the overwhelming majority of the pokemon's names have not had their origins officially revealed then these breakdowns are based on educated guesses and common sense. English Name: The official English name as used by Nintendo of America in all official English language media and merchandise. To see the pokemon who debuted in other generations, click on one of the links below. fushigi da ne (不思議だね), "it's strange, isn't it?" フ シギソウ fushigi sou (不思議そう), "it seems strange"
Literally the English word "lizard"
Also, the pokemon name "Lizardon" without the final "n"
zenigame (銭亀), "baby spotted turtle" or "young Japanese terrapin"
zeni (銭), an old word for "money"
makkusu (マックス), "max," or derakkusu (デラックス), "deluxe"
Literally the English word "cocoon"
apisu (アピス), "apis," the Latin word for "bee." Supia is an anagram of apisu. From poppoppo (ポッポッポ), the sound a pigeon makes in Japanese. The English equivalent would be "coo." ko (小 or 子), "small"
The name could also be interpreted as "Small Ratta." An anagram of boa (ボア), or "boa"
kobura (コブラ), or "cobra," spelled backwards. chuu (チュウ), the sound a mouse makes in Japanese. The English equivalent would be "squeak." banbiina (バンビーナ), "bambina," the Italian word for "girl." banbiino (バンビーノ), "bambino," the Italian word for "boy"
pipi (ぴっぴっ), the sound Japanese children make when they wag their fingers around. pukkuri (ぷっくり), "round and swelling"
kuri-kuri (クリクリ), "round and lovable"
Also similar to Golden Bat (黄金バット), considered to be the first Japanese superhero. sect (セクト), Latin for "to cut"
konnpaundo ai (コンパウンドアイ), "compound eye"
morufo chou (モルフォチョウ), "morpho butterfly"
Digu Dagu (ディグダグ), as in the 1982 video game "Dig Dug"
There are also rumors that ニャース was the name of Satoshi Tajiri's pet at. perushian kyatto (ペルシアンキャット), "persian cat"
gouman (傲慢), "proud" or "insolent"
okoriyasui (怒りやすい), "easy to upset"
gaado doggu (ガードドッグ), "guard dog"
From Uri Geller (ユ リ・ゲラー), an Israeli illusionist. Geller unsuccessfully sued Nintendo back in November 2000 over what he felt was an unauthorized appropriation of his identity. From Harry Houdini (ハ リー・フーディニ), an American illusionist and stunt performer (1874 - 1926). wanryoku (腕力), "brute strength." An alternate reading of the 力 character is riki; changing ryoku to riki creates wanriki. Literally "still a (flower) bud" (まだ蕾). bonita (ボニータ), Spanish for "pretty"
señorita (セニョリータ), Spanish for "girl"
Literally the English word "gallop"
don (鈍), "dull" or "slow"
yadoran (宿らん), "to not lodge / dwell"
Literally the English word "coil"
rea metaru (レアメタル), "trace metal"
Also comes from the proverb "a duck comes carrying a leek on its back" (カモがネギを背負ってやって来る); the English equivalent would be "along comes a sucker just begging to be parted with his money"
In other words, the name reflects the fact that the two heads occupy the same (同) torso (胴). A corruption of the English word "dugong"
beton (べトン), the German word for "concrete"
The word "ghost" (ゴースト) without the final "t"
Literally the English word "ghost"
Literally the English word "sleep"
Literally the English word "crab"
fidoraa kurabu (フィドラークラブ), "fiddler crab"
kara-kara (カラカラ), "dry as a bone"
gara (殻), "(chicken) bones for soup"
From Tadashi Sawamura (沢村　忠), a famous kickboxer whose nickname was "the Demon of Kickboxing"
From Hiroyuki Ebihara (海老原博幸), a world-champion boxer. doku gasu (毒ガス), "poison gas"
masutaado gasu (マスタードガス), "mustard gas"
futamata (二股), "one thing becoming two"
Literally the English word "lucky"
nanja-monja (なんじゃもんじゃ), "unusually large tree"
tatsu no otoshigo (竜の落とし子), "seahorse"
shii doragon (シードラゴン), "sea dragon"
kintoto (きんとと), a kiddy word for "goldfish"
manjuu hitode (マン ジュウヒトデ), "cushion star" (a type of starfish"
Based on its portrayal in the TV series many fans believe the "man" in its name also comes from "Ultraman"
Literally the English word "strike"
κοριός (コリオス), the Greek word for "bug"
From "la place," French for "seat"
From the letters E.V. (イー・ブイ―), the first two letters of the word "evolution"
A corruption of the English word "polygon"
topusu (トプス), Greek for "horn"
kairyuu-ou (海竜王), a dragon king said to live in the oceans. 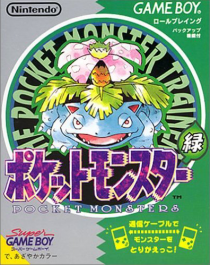 Dogasu's Backpack is a fan-created website Pocket Monsters (Pokémon) is © 1995-2016 Nintendo / Creatures Inc. / GAME FREAK, Inc. / Pokémon USA / 4Kids Entertainment Inc. No infringement of copyrights is meant by the creation of the web site.